Sometimes in life - we do something that we realise we hadn't. Maybe it is less common now with the whole "Someone's offence and distress is caused by another mans right to free speech" discussion thing that is going on, but I still feel it. I mean that moment - the few moments - the hours and days after you something - and realise - that it was a really REALLY stupid (and potentially offensive) thing to say. What ever offensive means any more. We were talking about Max being single and the chances of a very tall blind guy finding a soul mate. Without thinking - I asked him if he had ever seen the TV show blind date. Think about that for a second - I asked a blind person if he had ever seen a TV show called blind date. Leaving aside the fact that he had just opened up - publicly - about being frustrated by being single. I edited that bit out. (Very rare I do any editing) I was mortified. But thinking about it. Maybe I should have left it in. It sure has made me aware - acutely aware, of how we use language. And I got thinking about it - a lot. They say it is a visual world - with Pinterest and Instagram and LinkedIn video that everyone has gone nuts about recently. But not for a blind person it isn't. They live in a world of screen readers and captioned TV. (Max is used to English accents by the way - most voice over - even of the hardest nose US police dramas are voiced in British English. Have a listen to the show - it will be worth your while. Just watch your language. I love Max and all he has done in the last few years. He is truly an amazing, inspiring man and everyone can learn a lot from him! 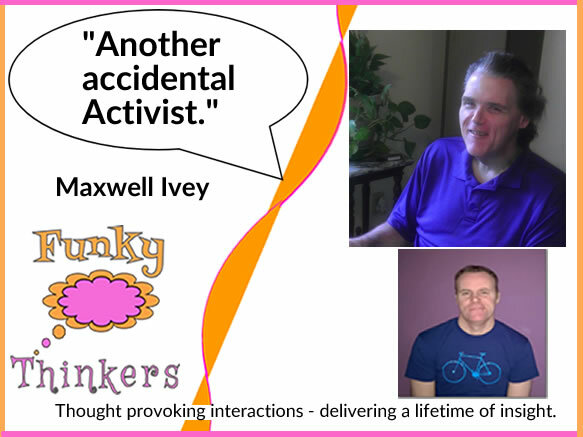 For sure – Max is a Funky Thinker poster boy. If there is such a thing…. 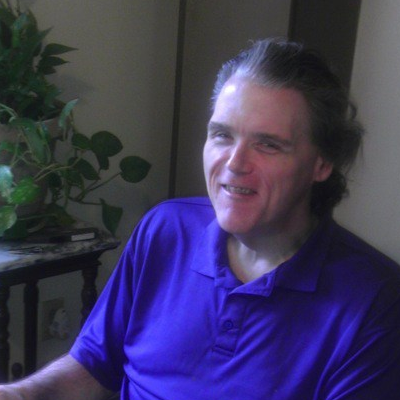 My initial conversation with Max had a massive impact on me personally about how we all use language and what it must be like to live in a “visual world” as a blind person. I felt the same way after talking to Kerry Kijewski, a blind writer Max introduced me to. She LOVES traveling. What got me was HOW she experiences travel. She truly opened my eyes to my other senses, because that is how she lives. I am such a visual person that I don’t think I could handle being blind. As it is, I just learned that I have cataracts growing on my eyes. My right eye has been giving me problems the last few months; my vision is not as clear as it used to be. New glasses will help (with invisible bifocals built-in), but surgery is definitely in my future. Maybe you should consider having Kerry on your show at some point! She would open the eyes of your listeners, I’m sure! Sure – can you intro me? There is a video somewhere of England Under 19’s (sighted) put blindfolds on and played England blind.